As we approach the holiday season I enjoy reminiscing about my own childhood and family memories of the holidays, they always involved lots of food, family and fun. Mom slaved away in the kitchen while my sister and I obsessed over the newspaper ads, making a very detailed list for Santa. 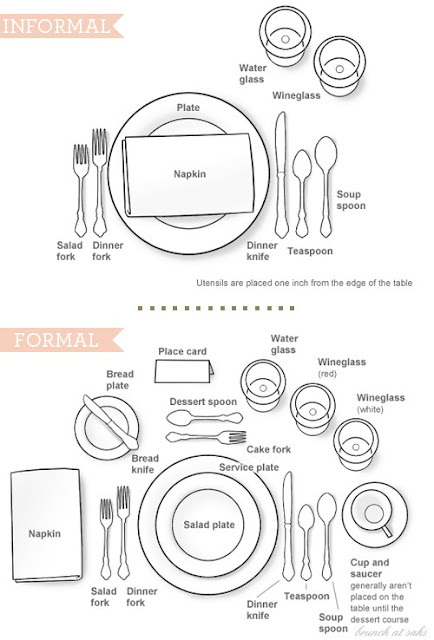 One part of thanksgiving that I remember every time I look at my dining room table is learning how to set a table from my Grandma. She is very particular and loves all things tradition, so she taught us from a very young age how to properly set a table. At the time I didn't realize the importance but as I grew up her lessons on manners and proper etiquette really paid off. So I decided to take some time with my little 4 year old and teach her some basics before the big day. To do this I grabbed some basics from my pantry, utensils, paper plates, and cups....we started with just the informal setting (keeping it basic). I introduced all of the items and showed her where they went on the table. I then placed them all in a basket and had her set the table...she did pretty good for her first try. I left all of the dishes in a basket for her to use to play with this week, we added a few placemats and table decorations. She has had a great time pretending to set her kid's table for Thanksgiving. 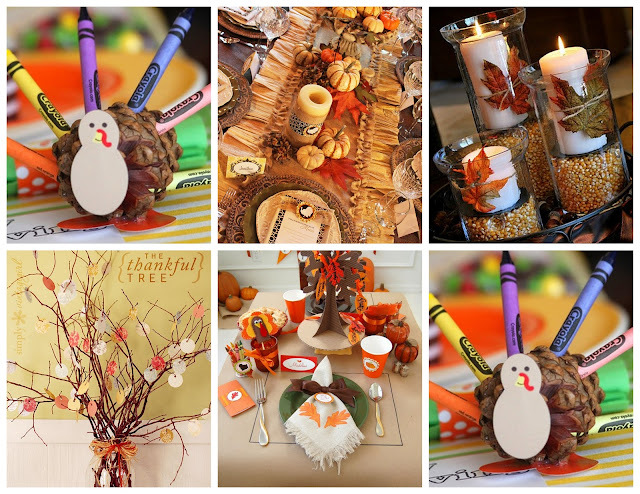 There are so many fun ideas for Thanksgiving we have compiled a few on our pinterest board, be sure to take a look! 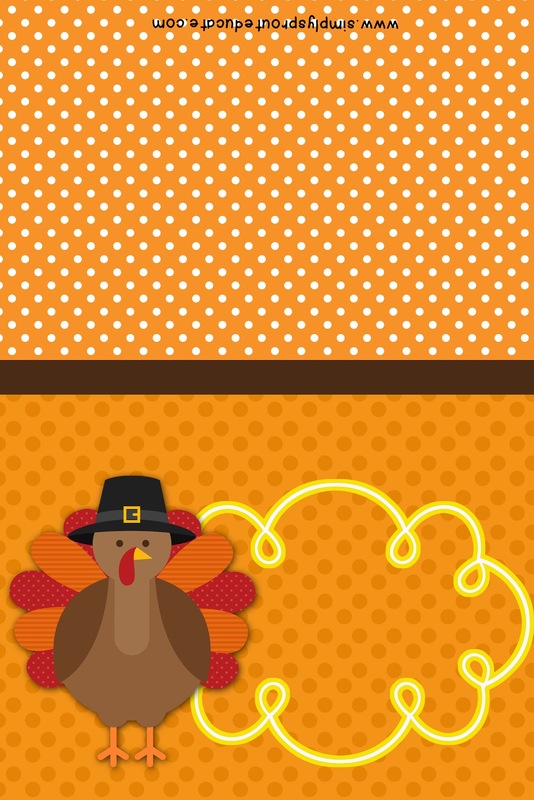 While your little ones are in a festive table setting mood print off a few of our place cards to add to your Thanksgiving table. To print right click and save to your desktop, insert image into a word document and resize as needed. Print, cut and fold in half to add a little fun to your Thanksgiving Day table. I love the place cards and the great ideas that you shared. Can't wait to share this with my sister as we get our little boys together this week for Thanksgiving. Thank you so much! What a great idea! I absolutely love all of your decorations! So cute! I can't use it because I'm going to Chicago and its just the boyfriends and I. I will be back though, it looks like you have lots of super stuff!